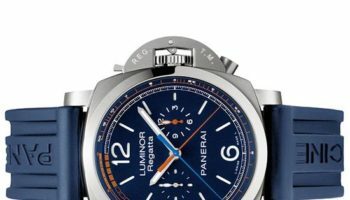 For those occasions when a single minute repeater just isn’t enough Panerai has released details of its most complicated watch to date. 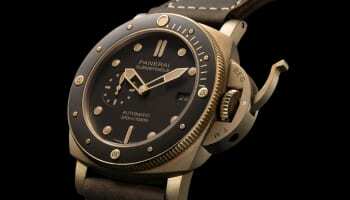 The Panerai Radiomir 1940 Minute Repeater Carillon Tourbillon GMT features a decimal minute repeater to chime either local time or a second time zone. 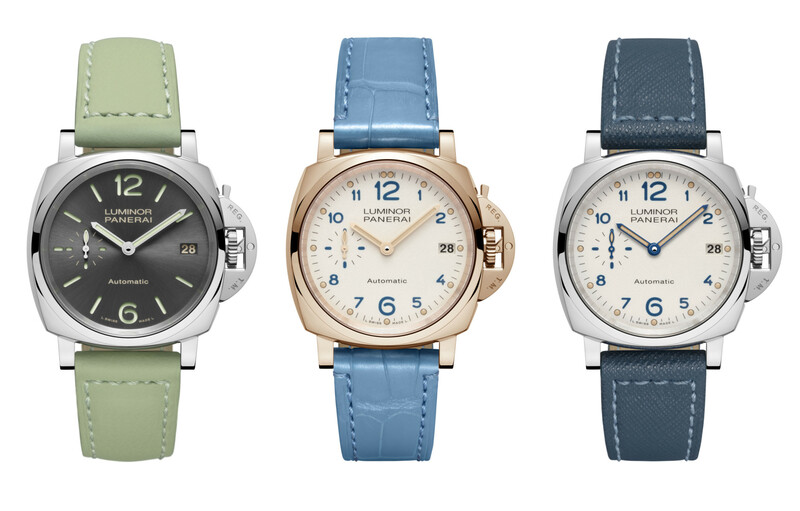 Panerai have blended the industrial stylings of this year’s Lo Scienziato with more classic traits to produce a unique design. 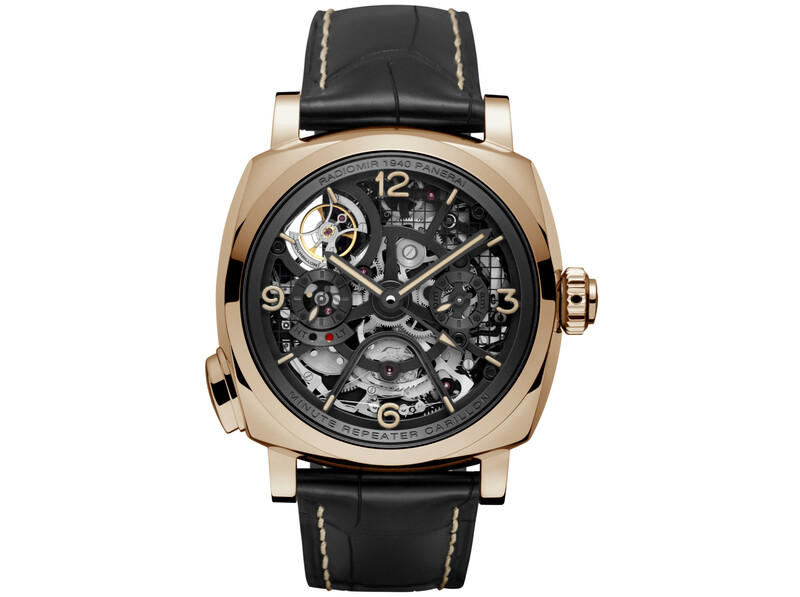 The new P.2005/MR hand-wound skeleton movement uses three pairs of hammers and gongs for three unique tones, which are activated by a push piece at the 8 o’clock position while the tourbillon used is a 30-second design. 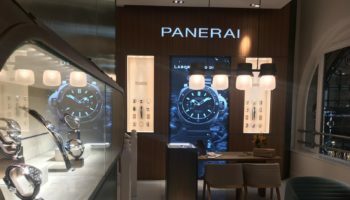 To fine tune the sound of the minute repeater Panerai has selected an 18ct rose gold alloy with a higher-than-normal percentage of platinum for its 49mm case. The extremely dense precious metal is renowned for producing a distinctive tone when used as a case material for minute repeater watches. This made-to-order special edition is also water resistant to 30m and has a power reserve of 96 hours.